Takato Sasaki (b. 1987) is an artist based in Tokyo who specialises in ceramics. Sasaki is currently working as an Adjunct Instructor in the Department of Crafts at Tokyo University of the Arts. He graduated in Ceramics from Camberwell College of Arts, University of the Arts London and obtained his master's degree at the Royal College of Art. Sasaki received his PhD degree from the Graduate School of Fine Arts at Tokyo University of the Arts. His work is based on idea of the formation of material awareness through ceramic practices. One of his major interests is how a personal understanding of materials, techniques and process can be transformed into art works. Basically, clay is a highly plastic material with certain intrinsic properties and characteristics. Therefore, ceramic artists need to establish their own principles through experience, tactility and perception. He has focused on this interactive relationship between the ceramic artist and clay as one of the important elements of his creation, and considered how his ideas can be formed and presented in studio work. He also participates in various art projects such as 'European Ceramic Context 2010: Student Workshop' (Denmark, 2010), 'KAKEHASHI Project: Student Creators Dispatch Program' (USA, 2014), and 'ASEAN-Japan Fine Arts Colleges Network 2015' (Indonesia, 2015). 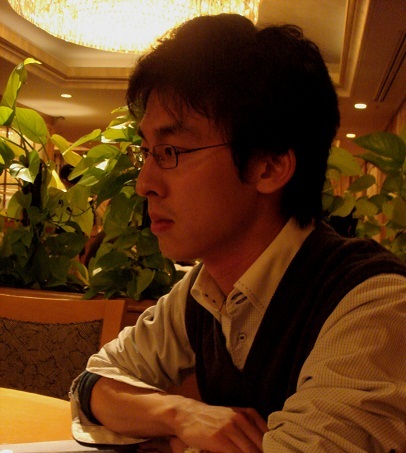 He is currently working as a Research Associate at Tokyo University of the Arts. Copyright 2016 Takato Sasaki All rights reserved.